The EnerSys DataSafe HX Telecom Batteries range of valve regulated lead acid batteries has been designed to offer competitive solutions for the global telecommunications and information technology markets, which demand the highest levels of security and reliability. The DataSafe HX incorporates select design features that maximize reliability, while ensuring superior performance and an excellent service life. Gas recombination technology for valve regulated lead acid batteries has totally changed the concept of standby power. The minimal level of gas evolution allows battery installation in cabinets or telecom equipment racks, in offices or near main equipment, maximizing space utilization and reducing storage and maintenance costs. 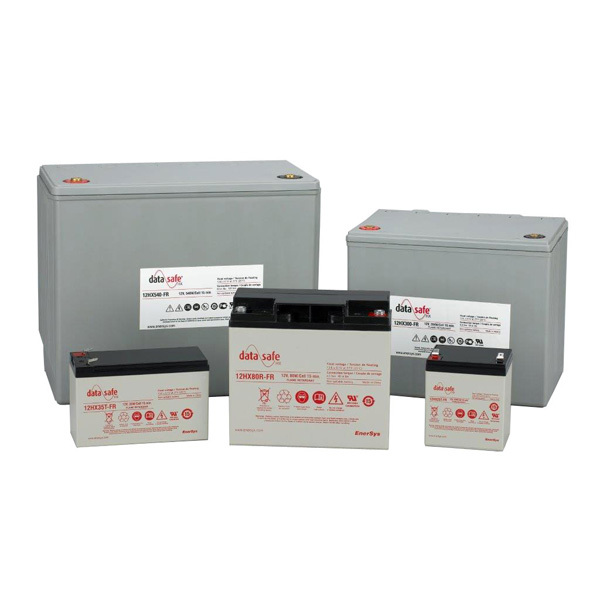 The DataSafe HX delivers superior performance, occupying less space than conventional standby power batteries. Thick, ribbed plastic containers and covers provide high mechanical strength and excellent safety features. The HX series, rated for use in Telecom applications, can be a lower cost alternative to Telecom focused batteries.